If you unfortunately have arthritis then you know that something is wrong with the joints in your body. Depending on what exactly is wrong with your joints relies on what type of arthritis you have. It could be because your cartilage is worn out, have a lack of synovial fluid, autoimmune infection or a combination of different causes. No matter what severity of arthritis you have, it comes with annoying joint pain that seems to never go away. Luckily, there are natural remedies that will help relieve joint pains caused by arthritis. According to many relieved arthritis patients, natural juices help calm pain brought on by arthritis. Natural juices can be very effective and they don’t come with any side effects or warnings. Besides alleviating pain from your joints, juices have somewhat of a holistic effect on the entire body as well. It has been said that drinking natural juices can increase energy and focus throughout the day. Incredibly helpful for joint pain because it contains natural enzymes called bromelain, which is known for its anti-inflammatory properties. Pineapple juice helps joint pain and postoperative swelling as well. Additionally, pineapple juice is great fuel for your body and contains almost all the necessary vitamins and minerals that your body needs throughout the day. Cherries contain a chemical properly known as anthocyanins, this property acts as a powerful anti-inflammatory agent and reduces pain caused by arthritis. Cherry juice also contains carotene and copper, which are effective for treating rheumatoid arthritis. It may sound funky, but this juice is one of the most effective natural medicines for problems caused by arthritis and has been used for centuries for joint pain. To prepare potato juice, cut the potatoes into very thin slices and put them in a glass full of water and leave it over night. The next morning, drink the water on an empty stomach to reduce pain caused by arthritis. If you prefer to juice, here is a great potato juicing recipe! Now that you’re covered with juices, lets go over some natural herbs that will help you with that always-annoying joint pain. Turmeric is an herb that has been used mostly with cooking as well as to treat many health conditions. Turmeric is helpful in treating arthritis because it contains curcumin, a powerful anti-inflammatory and anti-oxidant. Turmeric has been known to be beneficial in treating rheumatoid arthritis if your dosage is 400-600 mg of turmeric each day. Turmeric comes in the form of a capsule as well as a powder, but it is important to note that if you are taking blood-thinning medications you should avoid consuming this herb because it is known to thing the blood as well. Cayenne pepper is widely consumed due to its spicy flavor. This spice is beneficial in treating joint pain caused by arthritis because it also contains curcumin- which as you can remember, is an anti-oxidant and anti-inflammatory.Cayenne pepper is also known to release endorphins when consumed that take on joint pain caused by arthritis. You can use cayenne pepper topically by adding 1 ½ tablespoons of cayenne pepper to ½ cup of cocoa butter and apply it straight to your skin. If you suffer from GERD or gastric ulcers, it is best to avoid this spice as it can react poorly to your body. Willow Bark contains salicylin, an active ingredient that possess anti-inflammatory properties. It has been reported by studies that willow bark can relieve inflammation associated with osteoarthritis. If you decide to use willow bark as a treatment, you should consult with your doctor first because it can trigger side effects such as stomach irritations and bleeding when consumed in high amounts. When consuming this herb, avoid using NSAIDs such as ibuprofen as they can increase the risk of experiencing negative side effects. This herb is considered to be a strong remedy to treat arthritis effectively. Ginger root contains a compound known as gingerols, which are known to be helpful in reducing the production prosaglandins, the chemicals responsible for triggering arthritis inflammation. Before finding ginger root in tea, capsule, or raw form at your local store- consult with your doctor and make sure not to consume ginger root along with any other blood thinners because ginger root is known to thin the blood as well. Green tea is a great source of polyphenols and anti-oxidants that protect the body against free radicals. Green tea has many medical benefits and when it comes to arthritis it can help joint pain caused by rheumatoid arthritis. Green tea contains caffeine and if you are sensitive caffeine, definitely opt for the decaffeinated green tea for better results. 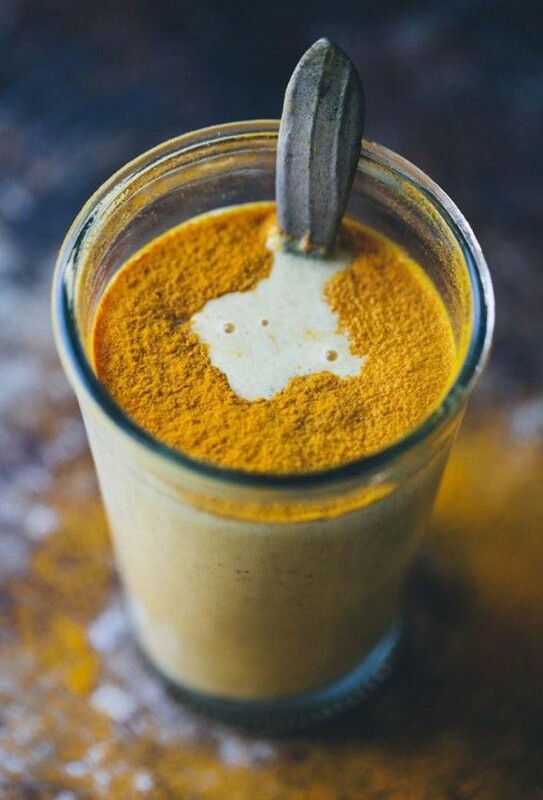 Here is a great turmeric tea recipe! All of these natural remedies can be found at any grocery store near you. However, it is important to consult with your doctor before taking any of these remedies for long periods of time. While they are not dangerous, they can have negative side effects if mixed with your daily medications. Have something to add about this article? Like us on facebook and let us know what you think!